Mothers Day – Happy Mothers Day! You don’t need to bankrupt yourself to offer a beautiful watch as a gift, nor to go all out on diamonds. A lot of women, and therefore a lot of mothers, like watches without diamonds just as much as those covered with them. Stainless steel or gold can be used in all simplicity to create a sober yet refined timepiece that shows off the purity of the lines of its case or to magnify the elegance of the dial; a timepiece that is a gift whose apparent simplicity is inversely proportional to the love it conveys. 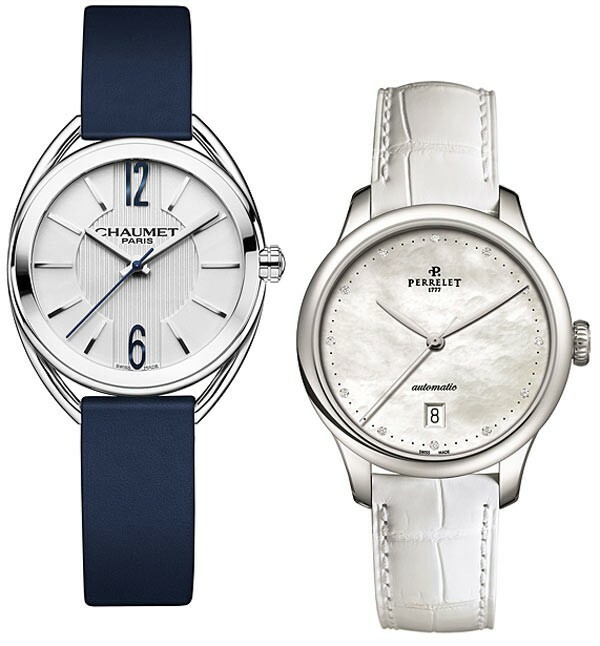 The 27mm Liens model by Chaumet, in stainless steel, is worn on a navy blue strap or steel bracelet. Powered by a Swiss Made quartz movement, it displays the hours, minutes and seconds on a silvery-white galvanic dial with a dominant 12 and 6. Added to the sobriety of the watch is the message of love from the “links” surrounding the case, which cross over between 3 o’clock and 9 o’clock and end in the lugs for the bracelet. With its dial in white mother-of-pearl and its matching alligator leather strap, the First Class Lady by Perrelet is all about freshness, to which the 12 discreetly placed diamond hour markers add a precious touch. Housed in a round stainless-steel case with smooth lines, the heart of the watch is also precious, since it beats to the rhythm of a self-winding mechanical movement that offers 42 hours of power reserve. 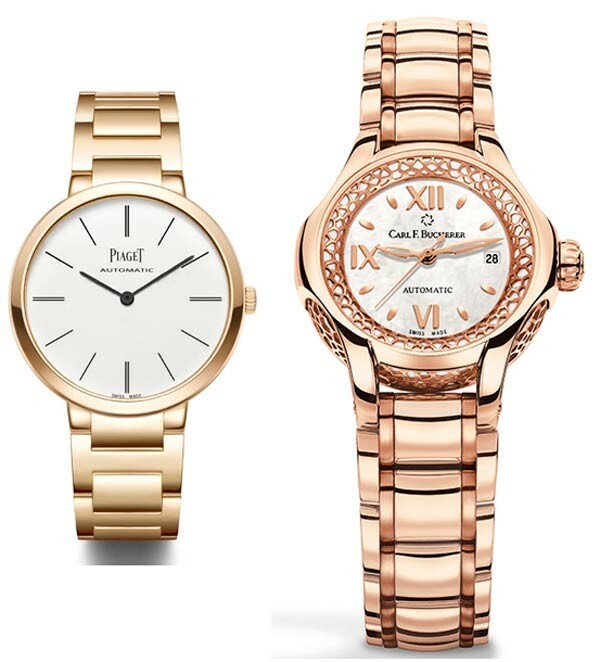 What more beautiful symbol to express one’s untarnished love for one’s mother than a gold watch with an inalterable shine? The new Piaget Altiplano Bracelet in gold uses this precious metal for both its case and bracelet, in white or red gold. Perfectly chic and understated, it gets to the heart of the matter by only indicating the hours and minutes, powered by an in-house self-winding movement. Its white dial, with its slender hands and hour markers, is the epitome of finesse. Sophisticated and glamorous, the Carl F. Bucherer Pathos Queen in 18-carat red gold incorporates the characteristic aureola of the Pathos collection. The intricately finished 34mm case opens up on to a sparkling mother-of-pearl dial with gold Roman numerals and hour markers and houses a self-winding movement with a 38-hour power reserve and date display. Although there is no price on love, it is nevertheless worth noting that the No 8 Ref. 828.040.101 by Bedat & Co. carries a total of 151 diamonds on the bezel and crown protector of its steel case. They delicately surround a guilloche opaline dial with oversized Roman numerals that creates an original and dynamic look. The three blued hands, powered by a self-winding movement, add colour to the black-and-white tones of the watch. Lionne is the name given to the Claude Meylan ladies’ model, a nod to the river of the same name that flows in front of the brand’s factory in the Vallée de Joux and to the feline figure of a mother. Finely skeletonised and decorated, the self-winding movement can be admired down to the finest detail, highlighted by a double row of diamonds set on to the bezel. The 35mm stainless-steel case is matched up with a white satin strap. The Louis Vuitton Chevron jewellery watch flies the flag of passion. 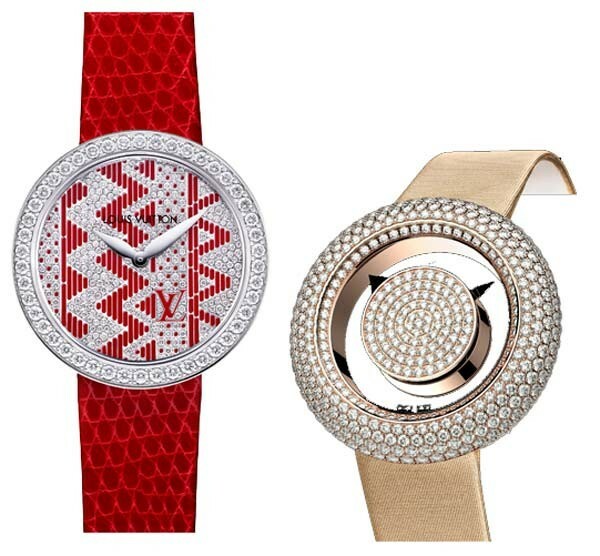 The geometry of the hand-painted angular red graphic design softens on contact with the white diamonds on the bezel and dial, a further seven diamonds set on to the white gold buckle on the red alligator leather strap continuing the contrast with the 222 other stones. Only eight examples of this original and striking quartz-powered watch are available. Jacob & Co.’s Brilliant Mystery Pavé Diamonds is round, transparent and mysterious. Its 44mm red-gold case, bezel and the centre of the dial are set with a total of 11.76 carats of diamonds. The time is displayed as discreetly as possible, indicated simply by small black triangles that appear suspended in mid-air. The careful attention to showing off the watch’s lines to maximum effect explains the absence of a crown. The time is set using a mechanism on the case back. With its triple-wrap strap, the Chanel Première Rock Rose Pastel is attached firmly but graciously to the wrist. The steel chain interlaced with pink leather surrounds a rectangular case that is available in four different sizes, from XS to L, and opens up on to a white mother-of-pearl dial. A quartz movement drives the hour and minute display. 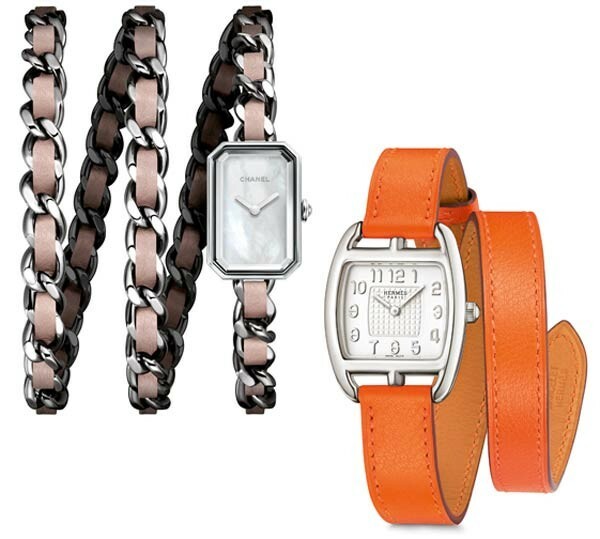 The Hermès Cape Cod Tonneau PM (PM meaning “petit modèle”, or “small model”, in French) in silver also has an interchangeable link strap and is available in different colours. With its rounded curves, the barrel-shaped case in a 925 silver alloy that is exclusive to Hermès houses a Swiss Made quartz movement. The silvered opaline dial has a central decorated section that is surrounded by elegant Arabic numerals in relief. The large rotating bezel is done with a PVD black coat while the instance on this version is a mix of titanium and steel. The watch is water resistant to 100 meters and has a sapphire crystal display back. Inside the watch is a Swiss ETA Valjoux 7753 automatic chronograph movement with a custom rotor and decoration. While it’s available with a metal bracelet, this XXL version includes a rubber strap with cushioned steel deployment clasp. The wide size of the strap helps provide the watch a much more striking look on the wrist, but actually works to decrease the visual size of the case.Price for this watch is roughly $5,500 – making it around the same cost as many other high-end dive watches. These watches aren’t cheap but may be argued to have a greater perceived value as a result of names on the dial. They’re also fairly well designed and have an almost charming appearance to them. One of those Lucie Chaumette Itele Class One XXL Chronographs can be obtained on James List directly here.In that the US, one of the very known LVMH watch brands is Chaumet. LVMH, for people who don’t already know, owns brands such as Zenith, Louis Vuitton, Tag Heuer, Hublot, and Dior. I really enjoy some of Chaumet‘s view designs, but with models names such as “Dandy” they might require a marketing refresh to become US market viable (if that’s even in the cards to them). Lets not dwell on trivial advertising difficulties and focus on one of the cool watches from a couple of short years ago. The Parisian brand introduced this Chronograph version back in 2006 I think. Possibly the best conceived cushion style case around. This is aided by the intriguing design of this lugs.Chaumet is about contemporary art deco design. Part of this is a play on asymmetry. You will note the “racing stripes” (as I call them) on the dial that stream in the strap. This is a common element in many of their watches. Still not sure? 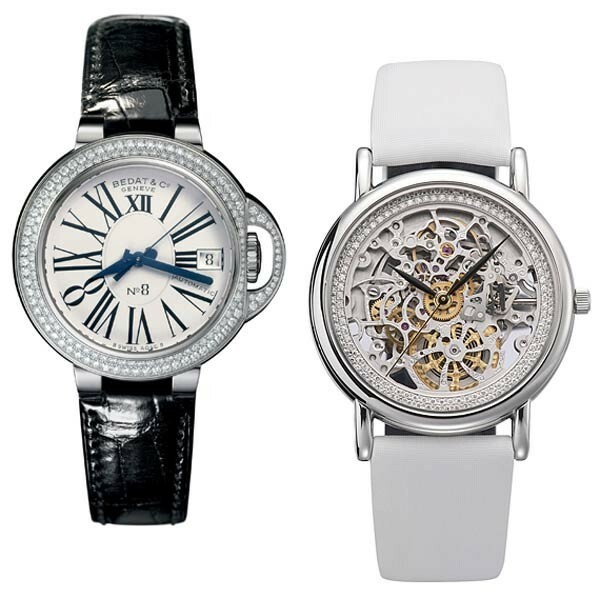 Check out the “women’s watches” section in our WatchFinder for our full choice of ladies’ timepieces.